Adventure! 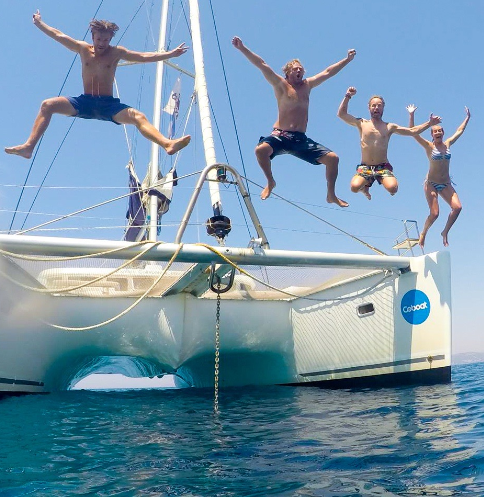 Coboat is for those of us who like to push back the boundaries and live life the way we choose, both as maritime adventurers and as online innovators. The Coboat work-life balance means that we work hard and play hard, so when you are not working on your own projects, you will have the chance to sun yourself or go for a swim, make use of our diving equipment to plunge into the depths of the ocean, or just enjoy an evening beverage with your shipmates. When we’re not at sea we will be docking at some of the most beautiful and incredible islands in the Caribbean Sea, which means you can enjoy the local cultures, make friends in the communities, taste the unique cuisines and, of course, some of that delicious rum that this part of the world is so famous for! We will be sailing from St Martins in the Caribbean on 5th January 2019, and from there we will sail around the Leeward and Windward Islands to include Barbados, St Lucia, Guadeloupe, Grenada and many other tropical isles that are so well known for their beauty. Here you can start your day with yoga or a swim, breakfast and then to work on whatever that means for you. We have regular workshops, skill-sharing sessions and idea incubators to provide education consistently, and because community is important to us. When you have time you can enjoy the water sports that sailing makes possible, and we often have time for a sunset beach barbeque, or to visit an inviting restaurant in the evening to enjoy some of the local delights. Coboat is about making the most of life!